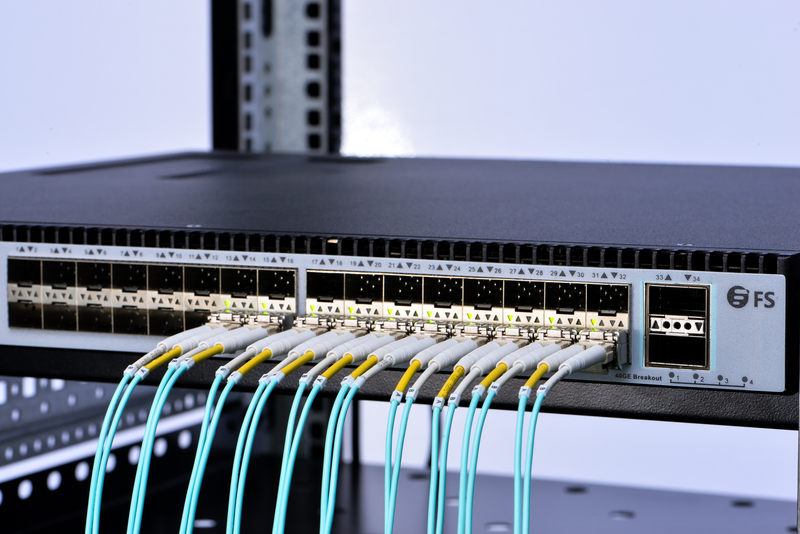 With the ever lasting advancement of networking technology, there comes an increasing demand for data centers to accommodate higher density cables and more bandwidth. However, it is generally acknowledged that data centers are often with limited space. Then how to handle those massive cables in such circumstances becomes a vital issue. 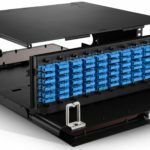 This article will introduce the LC uniboot fiber patch cable, an optimum alternative for cable management that is designed to deliver maximum connectivity performance. 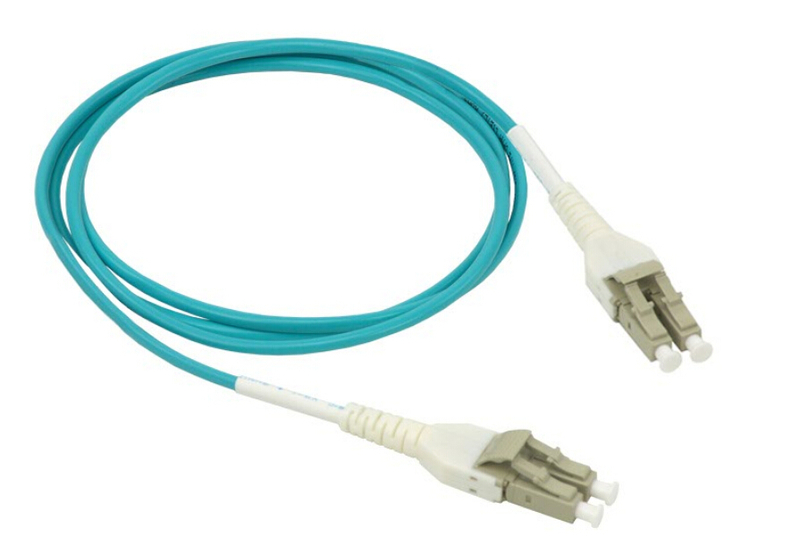 LC uniboot fiber patch cable consists of two LC connectors that wrapped by a common housing with one boot. It is terminated on a single, round, two-fiber cable to achieve duplex data transmission. LC uniboot patch cable allows for up to 68% savings in cabling volume due to a compact design, and it can ensure easier maintenance and operability with tool-less field reversible polarity and color identification. 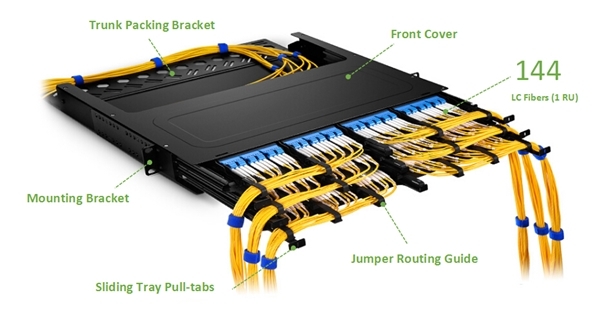 All the features presented by LC uniboot fiber patch cable make it an ideal option for high density network environment. 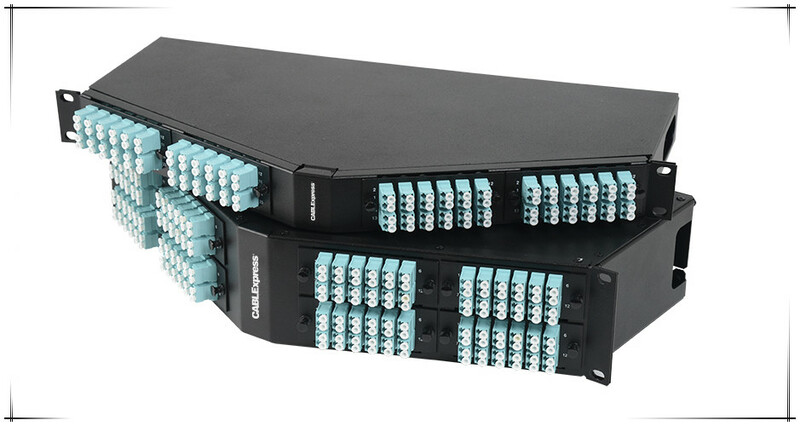 LC fiber optic connectors offer higher density and better performance in most environments when compared with other fiber optic connectors, making it a reliable and popular choice for many applications and equipment. This can explain why uniboot fiber patch cables are terminated with specially designed LC connectors. The innovative LC uniboot fiber patch cable, with its unique structure and compact design, performs even better than standard LC fiber patch cables in high density cabling environment. Here, we present the obvious differences between the LC uniboot patch cable and the standard LC fiber patch cable in the following picture. Adjustable Pitch—the unique style of the clip allows the LC Connectors to easily adjust for the increasing demand of a 5.25 pitch, as well as the standard 6.25 pitch. Eliminating the requirement for hybrid patch cables. 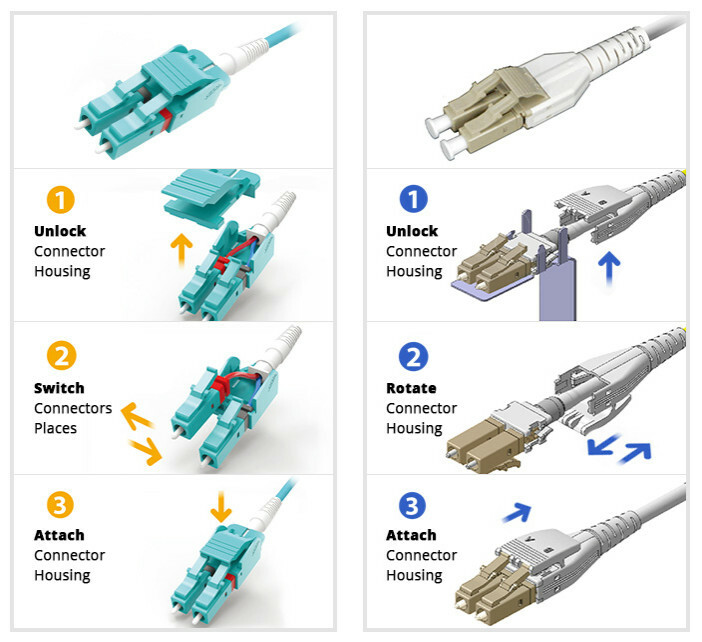 Reverse Polarity—with a few simple steps, the connectors polarity of the LC uniboot fiber patch cables can be reversed at will without connector re-termination. Quick Release Latch—the latch of LC uniboot fiber patch cable allows for the quick and easy release of this connector from the adapter panel, which makes great sense in the growing trend of high density applications. What LC Uniboot Fiber Patch Cables Can Achieve? As we have mentioned previously, LC uniboot fiber patch cables are especially vital to space sensitive data centers and high density cabling environments, so what exactly we can benefit from deploying LC uniboot fiber patch cables? With two fibers for duplex transmission firmly enclosed in a single cable, LC uniboot fiber patch cable effectively cuts down the cable count up to 50% compared with the standard LC duplex patch cords. 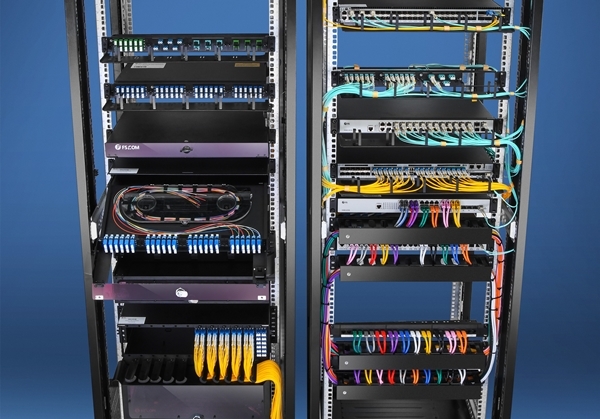 Thus the space requirement of cabling can be significantly reduced by it, naturally result in less chance of cable congestion in data centers. 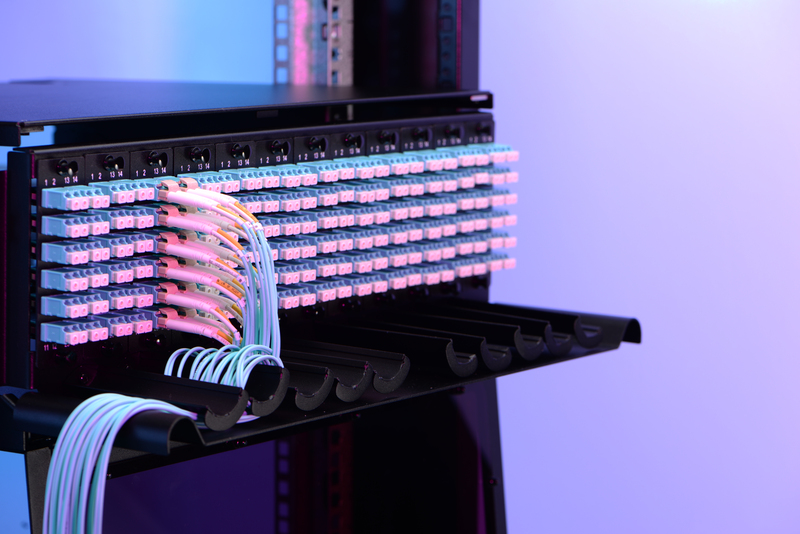 Changing the polarity of a standard LC duplex fiber patch cable may be annoying to many data center operators, especially when there happens to be a high density cabling system. This is sort of a time and energy consuming task since some minor mistakes could lead to various troubles. However, with LC uniboot patch cable, the polarity replacement can be much easier even without any additional tools. 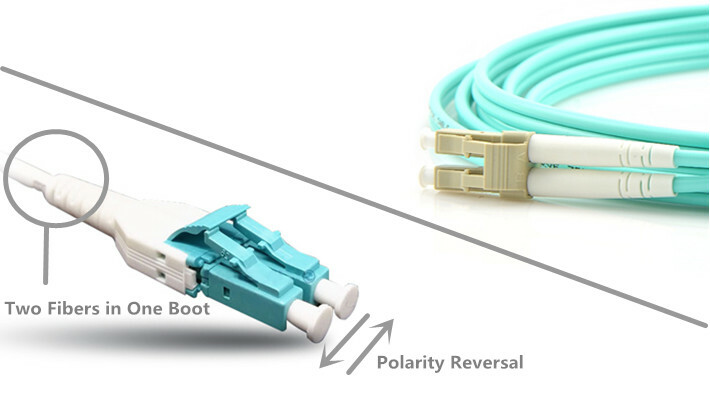 In terms of different types of LC uniboot patch cables, the polarity reversal steps may vary. We just illustrate two most used ones as follows. 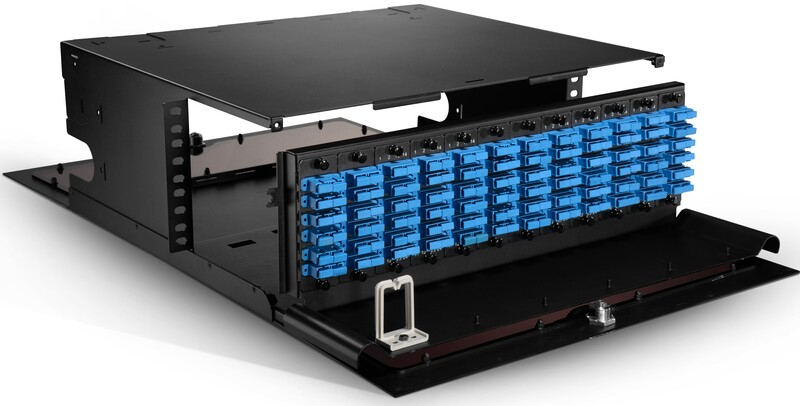 To address the increasing demand for high density applications and smaller fiber cable, the LC uniboot fiber patch cable is designed to help cut down cabling space and provide more effective polarity reversal solution, and to streamline cable management and logistics. Without doubt, LC uniboot fiber patch cable is the savior of popularized high-density cabling system. Hope this article could help you to choose the right LC uniboot patch cable for your applications, and for more products information and solutions, please visit www.fs.com. As the modern workplace and family become more complicated and the use of more technology, so a lot of cables, infiltrate into our daily life is in proportion. In order to prevent becoming lost in the tangle, effective cable management is essential. Fortunately, there is a wide range of products and cable accessories in the market, this task is a little easier than ever. There are so many different accessories on the market, it can be difficult to know what to buy. For this reason, the cable management suite is a great choice, because they have a convened a series of items need to clean up and organize effective cable. This kits come in many different shapes and forms, but all contain a variety of tools for effective cable management. 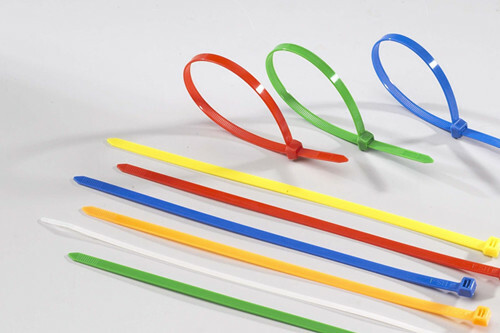 Many contain a combination of cable wraps, ties and clamps. Others might contain cable trunking and accessories for fireproofing your cables and increasing airflow around them. FiberStore products’ kits are perfect for added safety and fire prevention, and provides a fireproof seal for cables. The FiberStore cable joint kit meanwhile provides an all in one cable jointing solution utilising PVC and Polyurethane resin. Cable management is particularly important in offices and other workplaces which make extensive use of computers and other electric equipment. Without a carefully thought out cabling strategy, server rooms and data centres could end up looking like spaghetti junction, with a tangled maze of cabling scattered haphazardly across floors and walls. A disorganised cable management strategy is not only a logistical and aesthetic nightmare, it is also a health and safety risk. Firstly, individuals working in close proximity to the cables might trip over them, endangering both the employee and the equipment. Secondly, and most importantly, poorly coordinated cables present a significant fire risk. Many fires start as a result of electrical failure, and in the event of a fire, cables that are not protected may a result of electrical failure, and in the event of a fire, cables that are not protected may perish in the fire, exposing live wires and presenting a further electrical hazard to evacuating personnel. To protect against such dangers, all kinds of cable management kits and other products with flame retardant qualities are available. The Kopex Flexible Conduit provides a flame retardant cabling solution, featuring a galvanised steel core and a PVC cover, and is both flexible and versatile. Trunking pillows, such as the Newlec Fire Protection Pillow, can also be used to reduce the risk of fire. These are made of fire resistant compounds and are utilised to plug holes bored in walls and ceilings for the purpose of electrical cabling. This is vital, because in the event of a fire flames may quickly spread from room to room via any unsealed holes. Effectively management cable is almost like an art form, if do well can save time and money in the long run, and protect your equipment and your workers unnecessary risk. FiberStore Online offers a range of products from cable management (such as Cable Hook, wire marker, and cable ties) to lighting perpherals such as emergency lighting, bulkhead light and thorn lighting peripherals, and a range of other cable and electrical products such as cable trunking and cable management items from top manufacturers.